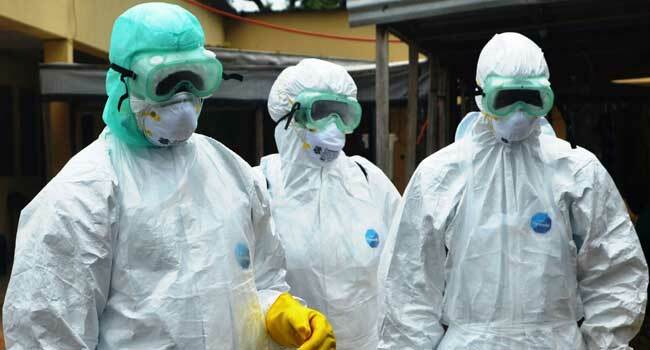 The outbreak is the country’s 10th since 1976 when the disease was first identified in the Democratic Republic of Congo (DRC) near the Ebola River, a tributary of the Congo. For the first time since the outbreak was announced on August 1, one fatality was recorded outside of North Kivu — in the neighbouring province of Ituri, the ministry’s directorate for disease control said. Immunisation with rVSV-ZEBOV was given to front-line health workers to provide them with additional protection — a tactic that has been repeated in the latest outbreak. The WHO has expressed concern that the violence in North Kivu — entailing militias who often fight for control of resources, including a notorious Ugandan rebel force called the Allied Democratic Forces (ADF) — could hamper the fight against the new outbreak. WHO Director-General Tedros Adhanom Ghebreyesus, visiting the area, on Sunday called for “free and secure access” for health workers, the agency said in a statement. The outbreak in North Kivu was declared a week after WHO and the Kinshasa government hailed the end of a flare-up in northwestern Equateur province which killed 33 people.